Although the majority of TV-card is some kind of program for viewing TV signals, often are programs on the free market better. 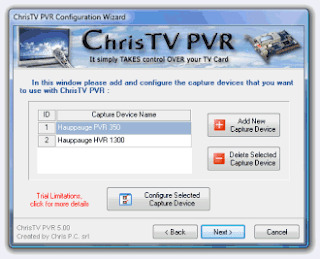 Chris TV is one of examples of brilliant software, which is indeed much stronger in the commercial versions (which allows recording and other nice things), but this free has much to offer. To view the program and this version is more than good, even excellent. MINUS- Quite "trim the wings"